I met with Eric Haydel today who was the last speaker here at the design bloggers conference in Atlanta. Eric comes from Louisiana and has now relocated to Boston. While Eric originally went to school for communications and worked with several politicians he switched to interior design due to an amazing roommate who bought his first supplies and pushed him in a different direction. After receiving a master’s degree in Interior Design from Boston Architectural College he started Eric Haydel Design and has been a growing success since its launch 7 years ago. Eric had such an interesting tactic to his speech here at ADAC, he provided all of us with peanut butter M & M’s with the point of showing us that any brand can redesign themselves like M&M did when the blue ones. Eric fully believes in trying things on a new level, when he hires interns he asks them what they want to learn, this allows that person to grow in areas of their strengths and be successful in the part of design that they are passionate about. With his branding and marketing, Eric believes in evolution. Since his business has started he has changed his brand three times. While he works on his brand Eric is also the youngest president in over 40 years of ASID New England. Here Eric talks about how the design industry is growing and expanding on a daily basis where of course he threw in his background of how political the design industry can be. Eric and I discussed pricing today: how much do interior designers make, while he wishes that as an industry there was a large discussion regarding money, he now believes that transparency is key in pricing. He uses contracts with his clients and he believes that regardless of how long the contract is that it should include all of the intentions of him and his clients. He wants everyone to see and know what to expect from each other. Eric has an hourly rate but he always requires a design retainer up front at 100%, this is a minimum charge of $2,300 this is used for the hourly fee and the administrative work that is done on each project. He is honest in a way that allows his clients to know what to expect and he has found that for his client base this is the best route to go. Eric was extremely upfront with all of his pricing structure with me and it was great to have such a candid interview. 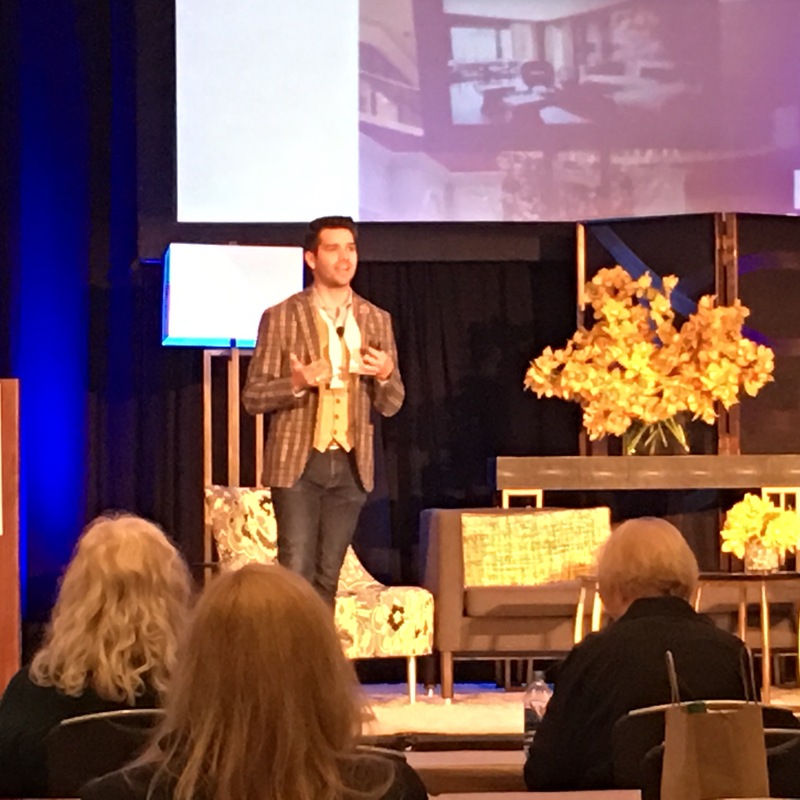 After such an intense conversation of pricing I was able to dig into Eric’s current passion of being the president of ASID where he has been extremely fortunate to have an extended term. He talked to me about being thankful in this industry and that while setting up the ASID’s gala he wants every designer, volunteer, employee, everyone who attends to be thanked for their time. He said with complete passion in his voice that being thankful and grateful is a part of the industry that does not happen for him enough and until you are sick of him saying thank you and I’m grateful then he hasn’t said it enough. Eric was a remarkable designer to interview today and I am grateful that I got to sit down with him in person.